Adolf Bock also produced a large number of postcards. 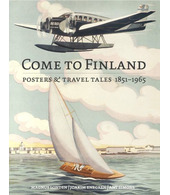 In Finland, most of these postcards were published between 1932 and 1936 by the Tilgmann publishing house, Kuvataide Oy. However, they were also published abroad. Bock was frequently commissioned as an illustrator of German, Swedish and Finnish magazines and books. For example, in 1926, the Finnish magazine, Suomen Kuvalehti, published his drawings of the maiden voyage of the Finnish icebreaker Jääkarhu. As a member of Verein Berliner Künstler (the Association of Berlin Artists), Bock was given the title of Professor in 1944.